Advent is upon us. It's the beginning of a new liturgical year organized around the life of Jesus and the birth of the church. Each year we repeat this cycle. 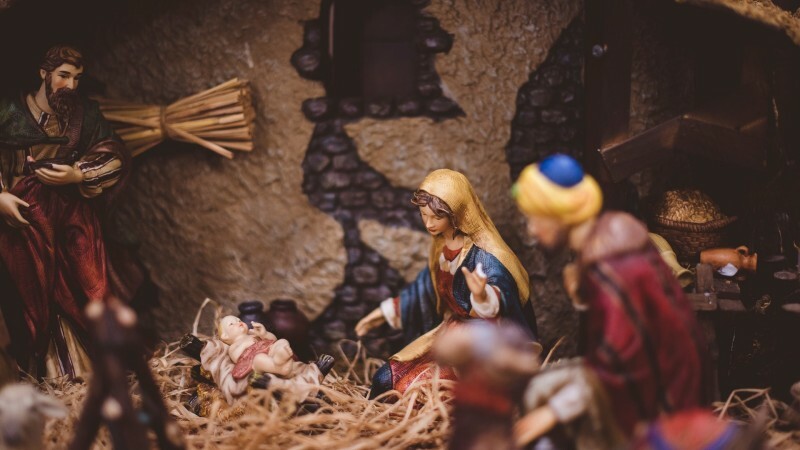 Starting with the announcement of our Lord's heralded birth, we continue the story of his historical appearing and miraculous presence on earth; culminating in his death, resurrection, and ascension into heaven. But that is just one half of the story. His part is followed up by our part. Jesus grants his Spirit to those willing to confess him as Lord and Savior, to follow him in baptism and discipleship and to band together as communities of faith and service. Nearing the end of this cycle, we acknowledge the maturation and inevitable completion of our personal journey upon the earth with All Saint's Day in November and complete our journey with the strong affirmation that this simple man of Galilee is the progenitor of the new and eternal creation that will have no end. And here we are, playing this favorite tune one more time, allowing its melody to enter into perfect harmony with our own. Our secular calendar loosely follows this same pattern with Halloween, Thanksgiving and our preparations for Christmas. Now it is time for decorations and festivities, parties and gift-gifting, family gatherings and special treats. The wiser and more mature of us will affirm, "it is more blessed to give than receive." They will use this month for charity and service. In the doldrums of winter, it is still possible to sow seeds of life. One of the most important ways we exchange the life of our community in the celebration of Advent is through the devotionals we offer one another on the days leading up to Christmas. Written by members and friends of our church, a daily reflection helps us focus our attention away from the glitter and distractions of a hectic season, as we enter into the profound and humble depth of our common Christian story. 1.) Reserve a special time to read these daily treasures. Plan a few precious moments where you will not be interrupted. 2.) Read the accompanying scripture passage. Carve out a little time of silence, even if just a few seconds long. Allow the Spirit to speak. Imagine how such words of wisdom can minister to you. 3.) Pray for the author of each particular devotional. Thank God for the time and thought they invested in creating their special message to you. Think of others in our church in need of prayer. 4.) Allow your reading and reflection to draw you closer to God, to your church family and to the world God invites us to love and serve. 5.) Share these emails with your family and friends. Let us know if we should add someone. Use these devotionals as a way to share the incredible life we are invited to enjoy as participants in this life-giving story. 7.) Enjoy! Celebrate! Be Made New! Advent is again upon us! Thanks be to God.